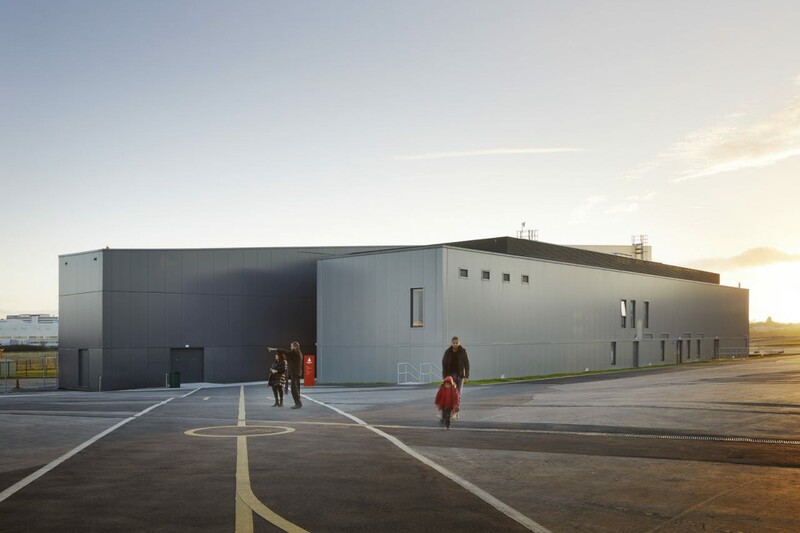 We're delighted to announce our Project of the Year, South West — Aerospace Bristol — along with the winners and highly commended for the RICS Awards, South West 2018. Over 40 of the South West’s most impressive and community beneficial property schemes battled it out for top honours at the 2018 RICS Awards, South West where the Aerospace Bristol Project took the overall, esteemed ‘South honours Project of the Year’ title. Held at the Ashton Gate Stadium in Bristol on 17 May, the annual RICS Awards, South West celebrate inspirational initiatives in the region’s land, property and construction sectors across eight category awards to be crowned the overall ‘project of the Year’ – the ninth and final award of the evening. The winners of these individual categories were announced by Alex Lovell, Television Presenter in front of local property professionals. Sponsors include Sika, Forbo, Historic England and Kingston Barnes. Aerospace Bristol is an aviation museum which opened to the public in mid-October 2017. The museum comprises of a grade II listed hangar housing the historic Bristol Aero collection; containing 8,000 artefacts and a Bristol-built aircraft. There is also the Concorde building, a new metal mass housing the star of the show; Concorde Alpha Foxtrot, the last to be built and to fly. The museum aims to tell the story of the shared creativity at Filton through the ages. The tourism and leisure value of this project has provided the local community with extensive benefits, making it a fitting winner for the 2018 South West Project of the Year. The reinstatement of the original design of nave roof structure, ceiling and dormers replaced the unsightly, suspended ceiling and steel trusses inserted in the 1950’s. The works take this medieval church back to the soaring light filled space envisaged by the builders. The judges were particularly impressed by the research and care undertaken and shows what can be achieved by a local group on a modest budget. Hitchcocks Business Park is located just north of Willand in Mid Devon and has excellent access to Junction 27 of the M5 motorway, suiting the distribution of product and labour. It extends currently to 20 acres and is set within a pleasant, rural environment. It is owned by a locally-based landowner / developer, who is passionate about creating a high-quality business environment, which meets modern business requirements. With the 40th anniversary of the Lighthouse approaching in 2018, this £5.3m refurbishment was planned in two phases and part-funded by grants from the Arts Council and Poole Borough Council with the remainder raised by the Love Lighthouse fundraising campaign. The integrated design team made a series of strategic interventions which breathe new life into many of the key facilities of the arts complex ensuring it has a bright future at the centre of the community. Situated within the Blackdown Hills in Devon, Oat Errish Farm is a new build family home, built to meet the demands of NPPF Paragraph 55. Integrated into a wildflower meadow, the building takes its impressive double curved form from an ammonite fossil found on the site. The spiral form provided by the innovative structure is a biomorphic interpretation of the Fibonacci spiral. The resultant home works with the site topography and creates a sustainable integration of nature into the landscape. The water supply grid is the largest scheme ever undertaken by Wessex Water. The eight year £228m programme of works will be completed in 2018. It is comprised of 50 individual projects. The project will meet the demand for water over the next 25 years. A key innovation has been the new “Optimiser” flow control system that will optimise the transfer of water through the grid. Print Hall reinvigorates a once proud Bristol landmark, transforming it into a living and social hub for a new generation of learners. The student accommodation was built by Midas Construction, part of Midas Group, one of the UK's largest independent construction and property services providers. The former Bristol Post newspaper print press building has been revitalised into 267 apartments across three blocks of accommodation, bringing much needed activity back to an area which was derelict for a number of years. Poppy Development’s expertise in sympathetic conversions helped preserve and transform The Mill, Harbertonford, an historic Grade II listed former woollen mill built in 1769, to create seven stunning, high specification homes. With true care and consideration given to every aspect of the conversion, preserving many original features, then complimenting these with excellent modern elements and technology to provide exquisite homes with character in a wonderful Devon village setting. Aerospace Bristol houses a nationally important collection charting the Bristol Aerospace industry from its humble beginnings in 1910 to the modern day and beyond. It creates a base for learning for everyone and cannot fail to inspire the next generation of engineers. 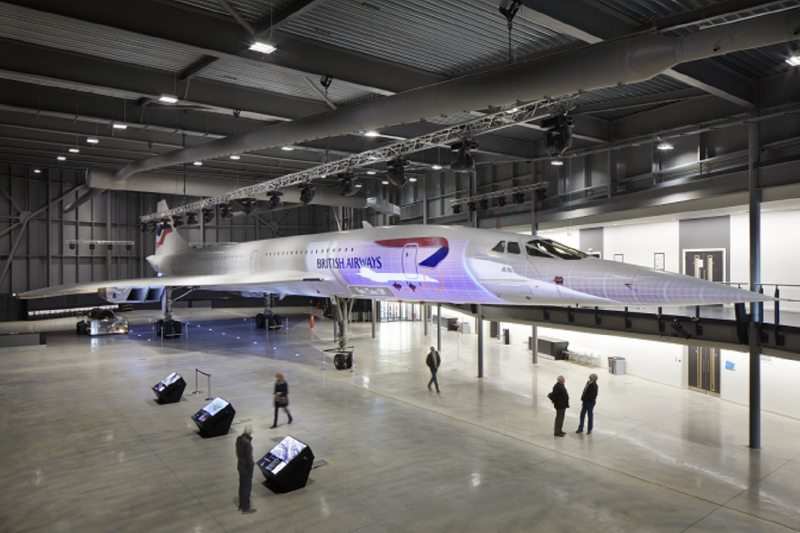 The judges were particularly impressed with the use of an historic Grade II Listed hanger brilliantly blended with the state of the art and culminating in the stunning last flying Concorde.